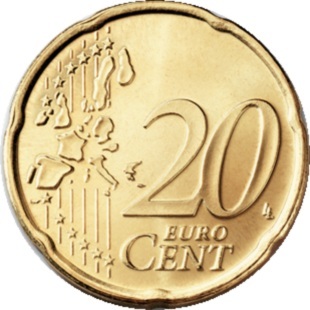 The 20 cent euro coin (€0.20) has a value of one fifth of a euro and are composed of an alloy called nordic gold in the Spanish flower shape. Nordic gold is the gold-coloured copper alloy from which the middle three denominations of euro coins, 50 cent, 20 cent, and 10 cent coins are made. 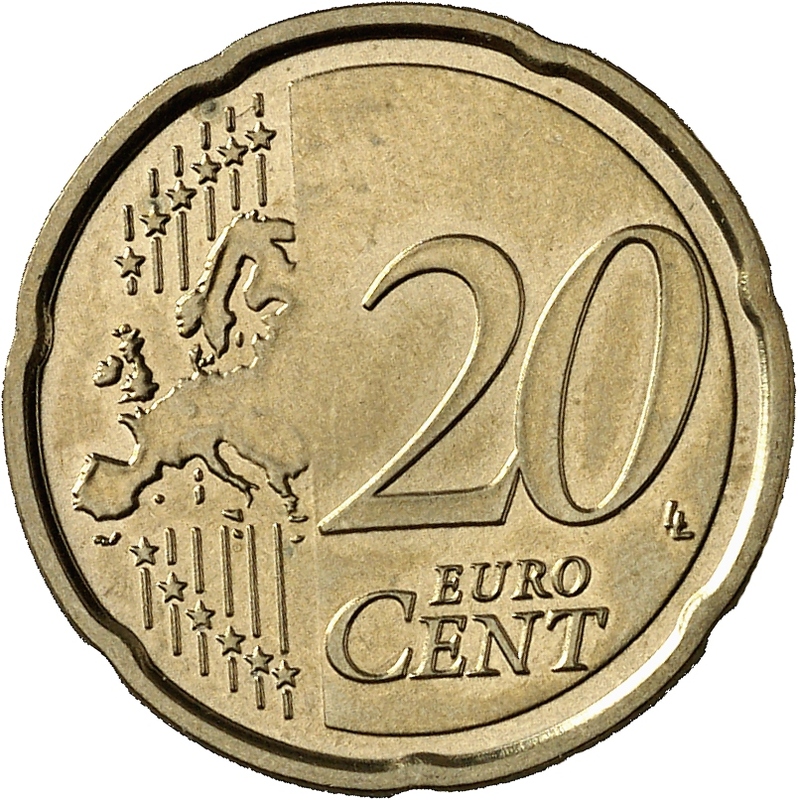 The Irish 20c coin dates from 2002, when euro coins and banknotes were introduced in the 12 member Euro Zone and its related overseas territories. Euro 20c coin, common side Type I (2002-2006) – a ‘stylised’ map of Europe, showing separate states of the European Union (EU). The EU’s membership expanded between 2004 and 2007, with further expansions envisaged, so the common face of all euro coins from the value of 10 cent and above were redesigned in 2007 to show a new map.